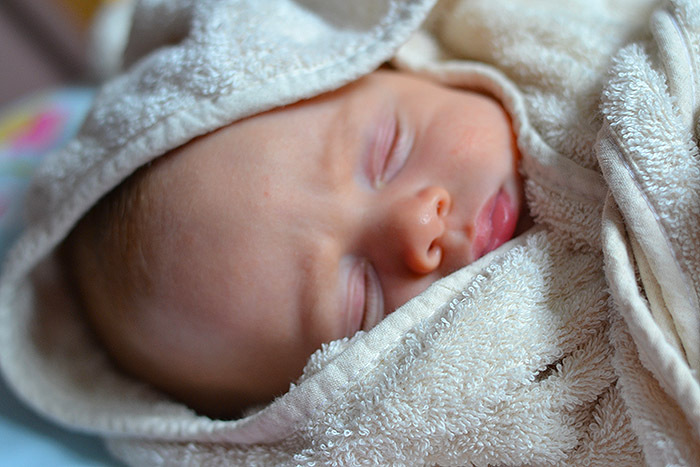 How to treat cradle cap naturally. It’s a hard life being a baby. You sleep, you eat, you poo, you sleep and in Tiger’s case lately he also gets pampered. A few weeks ago we hit the cradle cap stage and his head completely covered over with scabbiness. I’m not sure if all babies get it but both of mine have done, apparently it’s something to do with the sebaceous glands and it’s harmless, it just doesn’t look very nice. I didn’t really do much with Cherry’s, I feel a bit mean now as she had it for quite a long time but it did go on its own. This time however I tried some of this Organic Monkey Cradle Cap Oil and it has been amazing. The product is made from a mixture of oils, all of which are natural and organic. You put the oil on at night then leave it until morning before brushing through with one of those soft bristled baby hairbrushes. I have treated Tiger’s hair about three times now as he had it really badly but I would say there is only about 15% left to get rid of. When you brush it, you will notice all the skin coming loose from the head which can look a bit gross so you will definitely want to give them a bath afterwards! After his bath Tiger got to wrap himself up in one of these organic baby bath robes. 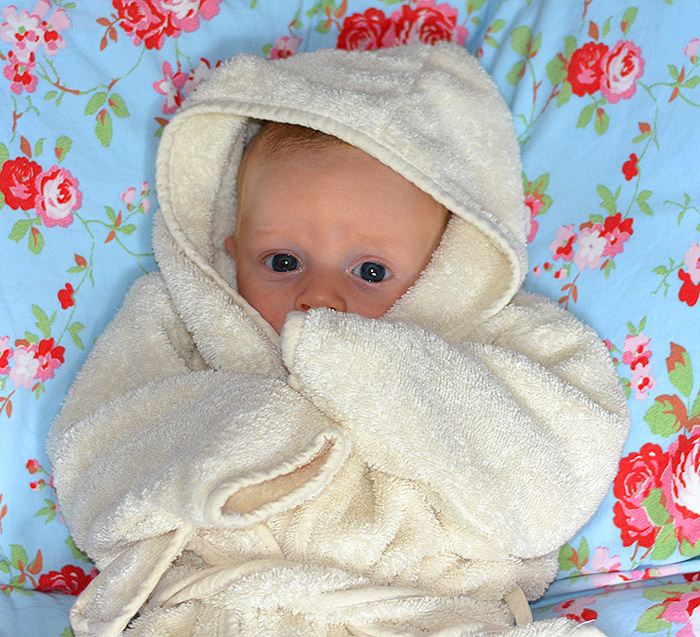 He is always cold when he gets out the bath and these are fab as they have arms and you can tie the robe together making them all snug and warm. He liked it so much that he even fell asleep in it after his bath, like I said, it is such hard work being a baby! The robes have 20% off at the moment bringing the price down to £16 which is an absolute bargain in my opinion as they can be used until they are around the age of two. The robes haven’t been bleached or dyed, the cotton has been grown from non-gm plants and no toxic fertilizers or pesticides have been used. This is how it should be for all baby products but sadly it’s not. All of these products were provided by The Purely Natural Company for the purpose of this review. If you want to know how to treat cradle cap or just want some lovely natural products for you or your baby then I would definitely recommend them.